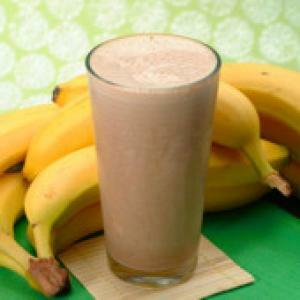 In a blender, add 3-4 bananas, 1 cup Tru-Nut Powdered Peanut Butter with Chocolate, and 5 cups milk. Blend for 20-30 seconds. Enjoy!